The City of Moville strives to deliver excellent customer service. The water, sewer and storm sewer utilities are owned by the community. Our goal is to deliver dependable service at the lowest cost to our homes and businesses. We are here to answer any questions you might have regarding billing and payment, new residents, and starting and stopping service. If you need to set up new service, discontinue service, or if you have any questions or concerns about your utility service or bill, please contact us at City Hall, 21 W. Main, or call us at 712-873-3545, or e-mail us at moville@wiatel.net or deputyclerk@wiatel.net. 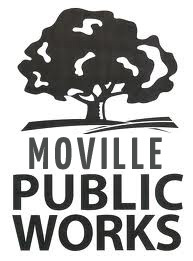 The City of Moville currently runs two sewer lift stations which pump throughout the system into a force main that flows to the Wastewater Treatment Plant located outside of Moville. These lift stations are checked every day and are equipped with the latest technology to ensure proper function. 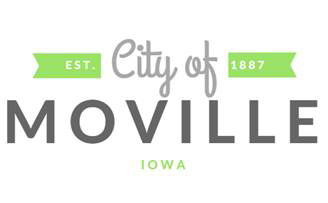 The City of Moville has approximately 11.2 miles of paved streets. The department is responsible for storm water maintenance, signage, street sweeping, pot-hole maintenance, and street snow removal. There are many city ordinances that pertain to streets such as the Snow Ordinance. The Snow Ordinance states that after 2 inches of snowfall, all cars must be removed from all streets until the snow plows have plowed curb to curb. Do not blow snow into the street as it will blow in your neighbor's driveway. The tree dump is provided for local residents at no charge. Only trees and brush can be disposed of at this site as well. The tree dump is located north of City Hall and is open year round. Call City Hall at 712-873-3545 for more information. There is a garbage dump located at 2210 Ida Ave. They can be reached at 712-873-3837 with questions about items they will accept and rates. In case of an after hours water or wastewater emergency please call 712-870-1361 or 712-870-0039 or 911.